A familiar beat is struck recalling sounds that were favorites from my transistor-listening, records-in-the-basement youth. This opening sequence of “Motown: The Musical” is supposed to get the audience going while showing the rivalry Motown founder, Berry Gordy, established between the groups he nurtured. It’s a kind of Detroit standoff in which neither ensemble gives much ground while both prove pretty darned entertaining. In the touring production of “Motown: The Musical,” The Four Tops by far vanquish The Temptations in overall quality. This, in spite of Rodney Earl Jackson, Jr. being truer in look, style, and sound to David Ruffin than Elijah Ahmad Lewis is to Levi Stubbs. No matter, both groups acquit themselves well, but their duel shows you quickly the virtues and rough spots that will remain the same throughout Berry Gordy’s musical about his life and the legendary record label he established. 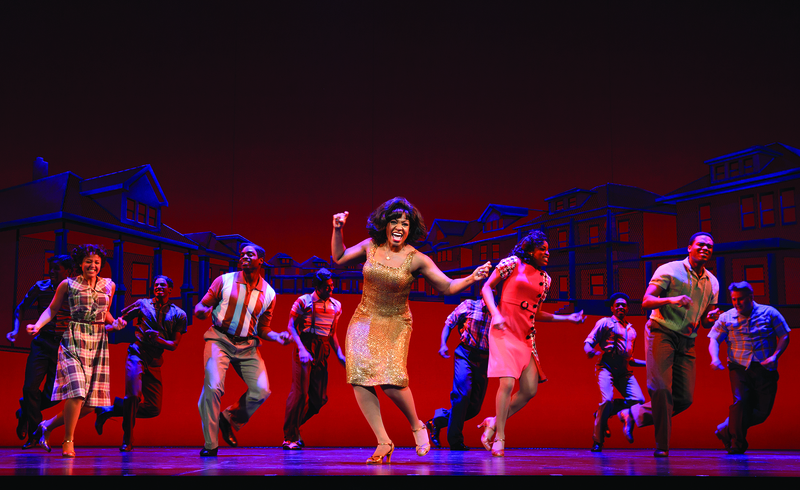 “Motown: The Musical” is full of songs. It is so stocked that iconic Motown classics such as “Heat Wave,” “Tears of a Clown,” “Tracks of My Tears,” and “You Can’t Hurry Love” don’t make the cut. The problem is you rarely get to hear a song all the way through. Just as The Tempts interrupt The Tops in the opening number, the book of which Gordy is the author continually curtails musical sequences, so it is like receiving a boon when a song is allowed to be presented completely. This sampling approach damages “Motown: The Musical” in significant ways. While you will no doubt be singing Motown tunes for days after seeing this show — “Ain’t No Mountain High Enough,” the Ross version, is in my head right now. — you miss the vibrance of the lyrics Smokey Robinson and Holland, Dozier, and Holland wrote so well and that the various groups performed to perfection. Just as you’re getting into a number, and glorying in the well-known Motown choreography, the sequence halts so Gordy can proceed with the bid for beatification he makes of his personal story. Even the best of the performers, Lewis’s Stubbs or Martina Sykes’s Mary Wells — the best! — is robbed from building any excitement with their numbers. Yes, you move to the music and sing along until you’re stopped by Gordy’s ego, but you never have the feeling you’re watching genuine entertainers doing their acts in the style you would have seen during Motown’s heyday. It’s not that the facsimile performers can’t create excitement — Sykes does. — but the lack of continuity is crippling. The irony is “Motown: The Musical” is the most enjoyable, and that means quite enjoyable when the talented troupe is singing and dancing the hits that exhilarated a generation and tend to be known by the children of the parents who played their Temptations, Supremes, and Stevie Wonder records to death. The second act opener, “Ball of Confusion,” a late hit for The Temptations, illustrates what the entire three hours of “Motown: The Musical” should be. For once, Gordy, and “Motown” director Charles Randolph Wright, gave a number full production and allowed choreographers Patricia Wilcox and Warren Adams let their dance routines count. Frankly, the Motown story is interesting, and Berry Gordy has a right to want to let people know the credit he deserves for creating such a wonderful entertainment entity, but the way Gordy writes his story for “Motown” is self-congratulatory to the point of being egregious, and some of the set-ups, like the introduction of new performers, as if they’re always a surprise, or the alleged dramatic scenes between Gordy and Diana Ross, are shorthand, sloppy, and amateurishly plotted. Give me the music. 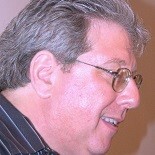 Gordy would be better off being criticized for presenting a show that is actually an extended concert than to put a crimp in “Motown” by stopping what people would prefer to see for material that never takes on any importance and becomes downright blatant when Gordy’s book tries to tie events at Motown with contemporary civil rights politics. “Love Child?” I ask you. The book is not totally uninteresting. People might be curious to know how Motown started and how Gordy sustained it, but the proportion of book to music is wrong. The book is what should be interrupted while the songs flourish, and the audience gets the sense of what was really special above Motown, the music and the way artists performed them. We barely see Jackie Wilson, Junior Walker, or Gladys Knight. The Jackson Five get a sequence of their own. Mary Wells, Stevie Wonder, and Marvin Gaye are well represented. But Martha and The Vandellas, The Marvelettes, and other groups are given short shrift. Only Jesse Nager as an excellent Smokey Robinson, and Sykes as Wells get enough of the spotlight to establish themselves and show what made them great. Then, of course, there’s Diana Ross, who is as close as “Motown” comes to a female lead. On opening night in Philadelphia, understudy Trisha Jeffrey took the role, and she did quite well as a singer and as an actress, creating the essence of Ross and approximating her voice well although, physically Trisha looks nothing like Diana. Gordy needed to consult an editor — I hear you saying, “Look who’s talking. — and a playwright or screenwriter while undertaking “Motown.” The music gets him by. Even truncated, it’s infectious and want to hear more, more, more of it. The book is too imposing and too designed to make Gordy into a knight of Lancelotian status. Crises are self-serving and obvious. Few scenes really engage, and the weight of the book begins to be resented because it takes up time we can be rocking in our seats to the Motown sound. One brilliant move Wright and Gordy made was to hire Julius Thomas III to play Gordy on this tour. Thomas is compelling if the book scenes are not. There is a clarity to his Gordy, and a power. Thomas shows you the businessman, gambler, and put-upon figure Gordy is. Even when Gordy the writer is self-indulgent and, worse, self-congratulatory or superiorly defensive, Thomas plays his scenes straight and with sincerity. Thomas is a fine actor and an excellent singer. He certainly makes you like and root for Berry Gordy, even as you want to tell the actual Gordy to let up and give us more Gladys or Stevie or solo Diana. It would have been nice if, instead of The Four Tops and The Temptations beginning the show with a rivalry that turned numbers into medleys, each group was able to do a song full-out. Except for “My Girl” and “Ball of Confusion,” I don’t think either ever do. Thomas holds the stage when he occupies it. If you’re not burning to know everything Berry Gordy did or said, Thomas makes it pleasant as you sit there listening it to it. He does a fine job with “Can I Close the Door,” sung at a time when Ross, no longer Gordy’s paramour, is accepting a contract Motown can’t afford and going to another label. Trisha Jeffrey has style and poise as Diana Ross. As mentioned, Trisha does not resemble Diana in any way, but she has star presence and a wonderful way with a song. Her voice may be more powerful than Ross’s in places that require belting or vocalization. Jesse Nager sings well as Smokey Robinson and does a fine job triggering Gordy’s conscience or setting him on a more rational, reasonable line. It is Nager and Smokey’s material that dominates the first quarter of the show until The Supremes grab focus. Jarran Muse has the grit of Marvin Gaye and has a good voice but, on opening night in Philadelphia, needed to gain most control of it. Leon Outlaw, Jr. earns ‘ahhhs’ as the young Michael Jackson. Ashley Tamar Davis was notable as Gordy’s practical sister. Melanie Evans scores as an outspoken activist and member of Gordy’s entourage. Elijah Ahmad Lewis practically channels the older Stevie Wonder in the second act. “Motown: The Musical” runs through Sunday, January 18, at the Academy of Music, Broad and Locust Streets, in Philadelphia. Showtimes are 7:30 p.m. Tuesday through Thursday, 8 p.m. Friday and Saturday, 2 p.m. Saturday, and 1 and 6:30 p.m. Sunday. Tickets range from $115.50 to $20 and can be obtained by calling 215-893-1999 or by visiting www.kimmelcenter.org. This entry was posted on January 9, 2015 by nzoren in Theater Reviews and tagged Academy of Music, Berry Gordy, Charles Randolph Wright, Diana Ross, Gladys Knight, Jarran Muse, Jesse Nager, Julius Thomas III, Leon Outlaw Jr., Martha Reeves, Martina Sykes, Marvin Gaye, Mary Wells, Michael Jackson, Motown, Motown -- The Musical, musical, Philadelphia, Pop Music, Smokey Robinson, Stevie Wonder, The Four Tops, The Jackson Five, The Supremes, The Temptations, Theater, Trisha Jeffrey.